The Maintenance Tool Kit is a complete, self-contained tool kit designed specifically for MIL-D1 Maintainers. It includes all tools required for any maintenance and repair requirements. 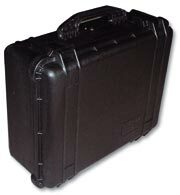 The strong, compact, watertight case allows the use of the Kit everywhere and in all conditions, so as to keep the device in perfect operating condition.